An Alabama teacher has been sentenced to 30 days in jail for assaulting a 12-year-old boy. Brandy Taylor, 38, is a special education teacher at Albertville High School. On Wednesday, Jan. 24, she was convicted of third-degree assault. According to court documents, Taylor hit, punched, and bit the 12-year-old in the face, before hitting him with a belt, reported WAFF. A police officer claimed to have observed welt marks on the boy’s back and leg, along with bruising on his thighs, marks on his face, and redness around both eyes, said the documents. Taylor has been on leave with pay since the incident. 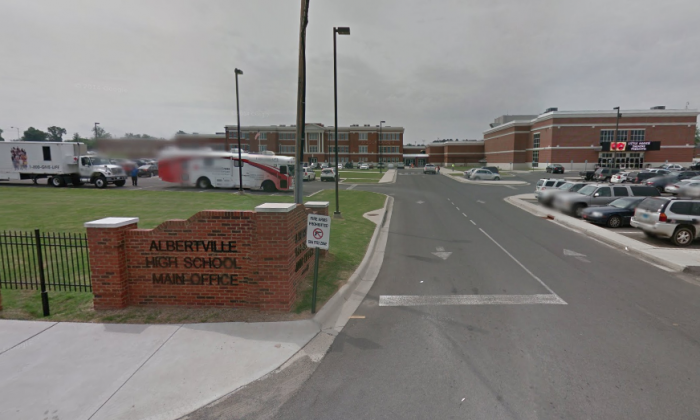 Following the conviction, the Albertville City School District was reportedly seeking legal advice regarding next steps. WAFF reports that no appeal has been filed yet. This is not Taylor’s first assault charge. In 2016, she allegedly sprayed her former husband’s face with pepper spray at a ball park during an argument over their child, WAFF reported. Her former husband, James Dan Sims, then filed for a protection order against Taylor. Taylor is due to appear before a judge for a review hearing on the domestic violence charges on Feb. 15.